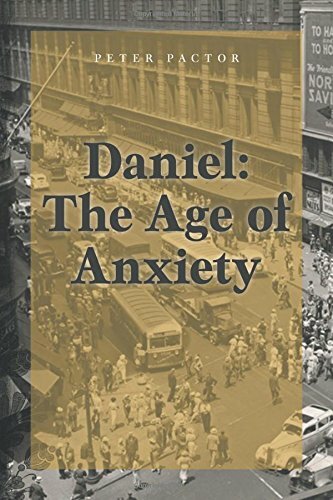 “Daniel: The Age of Anxiety” by Peter Pactor, is a delightful historical fiction novel set in the late 1920s. The sequel to “Daniel: The Age of Discovery,” readers pick up the story as Chester Alexander (Daniel French, now a 95-year-old billionaire) continues the telling of his life story to his biographer, Michael Chandler. The narrative begins in the year 1929. There is growing uncertainty surrounding the stock market. Daniel doesn’t believe the experts touting a stable economy – he fears the market will crash. Starting with the customers of his bank, Daniel sets out to alert as many people as will listen about the impending doom. He meets some highly influential people in the financial and political world, overcomes personal obstacles, and makes a few enemies on his mission to inform the public. Did I mention Daniel is12 years old? Pactor has an incredible talent for drawing the reader directly into the environment of the story. I actually felt like I stepped through a time portal and was delivered to 1929. I could hear the music of the era playing in the background of my mind as I read. I pictured delivery boys on their bicycles shouting the daily headlines as they delivered the morning newspapers. And though it was most certainly a colorful time in history before the depression, I imagined the story in black and white. I was completely enchanted by the overall tone. The characters in the story are equally appealing. The development of Daniel as a wealthy, privileged 12-year-old is impressive. Daniel exudes confidence and an almost-but-not-quite arrogance that is beyond his years, both in intellect and maturity. His “almost” arrogance is held in-check by his social ineptness (though he also grows in this area as the book progresses), and his willingness to learn. As an adult, I found Daniel’s character to be quite remarkable; at times I often forgot he was just a young boy. That said, I do wonder if young readers of today will be able to connect with Daniel and his equally mature friends. The author’s background as an educator is heavily imprinted in the story, teaching readers along the way, almost invisibly, with the life lessons introduced to Daniel and his friends. He also includes some very interesting information in the back of the book about some of the historical figures in the story as well as a list of recommended reading. As the book ends with a nice opening for more adventures with Daniel, I hope to see more work from this author soon. A wonderful, well-written piece of historical fiction, I highly recommend “Daniel: The Age of Anxiety” by Peter Pactor.